Specially designed by a focus group, the ESK-02 makes it easy to be prepared for life’s little surprises. 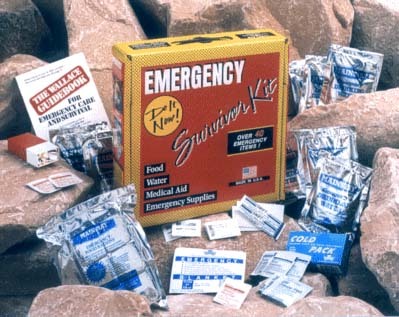 Each kit contains over 40 medical and general supply items including a guidebook that offers survival tips and basic information. Designed to support one person for up to three days, the ESK-02 carries a five-year shelf life on food and water. Its affordable price makes it a great choice as a premium/incentive item, corporate gift, or employee award.